The Rise of Private Video Exchanges: Good for Buyers? Do Brands Need Video Strategies? As video becomes completely untethered, the media strategist and planner is faced with a host of options, risks, and business challenges. 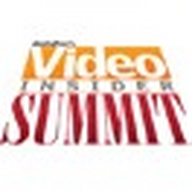 At the first Video Insider Summit we bring together some of the leading agency, media, marketing and technology executives to get upfront with the new reality of multi-screen video buying and planning. Where is their money best invested? What emerging technologies in creative, distribution, automated buying and attribution are and are not working. And how does the blurring of old media lines affect the structures and business of the modern agency itself?